Hi again! This is a small update with mainly bug fixes for v107! Hit the jump for the full change-log! Edit: v108 added a new crash related to touching active tiles. I have fixed this and some other things, but please post all crash error screenshots you get (can be found in the cobalt directory) and send them to us so that we can include fixes for those before v109 which should be asap! You can now initiate an air roll while using jet shoes, and as long as you hold the rolling button you will keep spinning even with the jet shoes spraying around you. 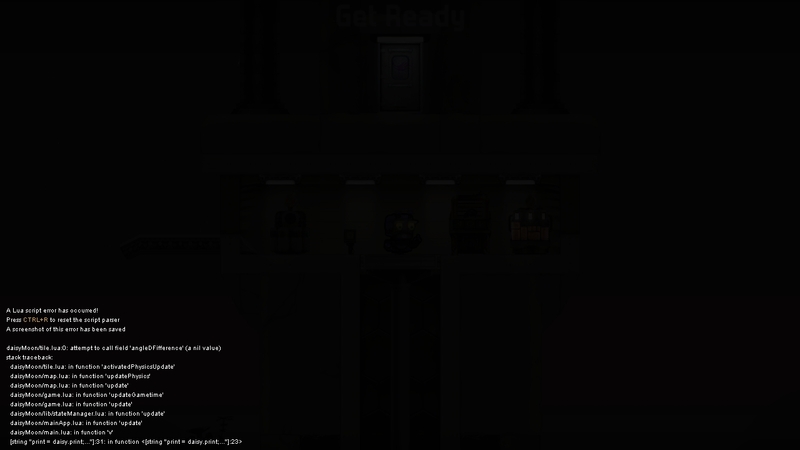 Minimal mode and shaders turned off now works again. fixed crash related to explosionSequence used in safest gate. optimized actor limb explosions which should generate less performance intensive debris. Forgot to up the shied damage factor on Plasma weapons when i reduced their damage, they are now good at shield as they are supposed to, but they still dont insta-remove yellow shields. Research facility now restocks shops. Fixed a crash bug related to alarm actors rig rendering. Will send any bugs to you guys so we can get this game fixed. That was rather quick – thanks ! Plays more smoothly now, too. Please make Mac OS X a priority, I would be able to and would play much more. Also, send the map so we can test! Hello! I have a bug to report. It seems for whatever reason that when I hit a bot, or a bullet (have not tried in multiplayer) with the stun grenade (flash grenade, which ever you call it), the game crashes and I get the black screen with the script saying hit ctrl + 4 (or what ever the script says) I have tested it multiple times and it still keeps happening. Though this would be good to know. Cqn you post the error screenshot? It happens when ever a flash grenade goes off, regardless of whether it effects someone or not. I have re-installed twice, once with the 1.07 installer, and 1.08 installer and still get the same error. The conditions do not seem to change the outcome. I have tried different arena’s both official and unofficial. Playing with multiple bots, or none. This error even comes up if the bots throw the flash grenade. I can report that the Wineskin Launcher is still dead. @Admin, Is there a way to revert to v106 ALPHA so I can still play that old version while I’m waiting for the official port? The new update’s been exciting for me, especially the lethal cardboard boxes. 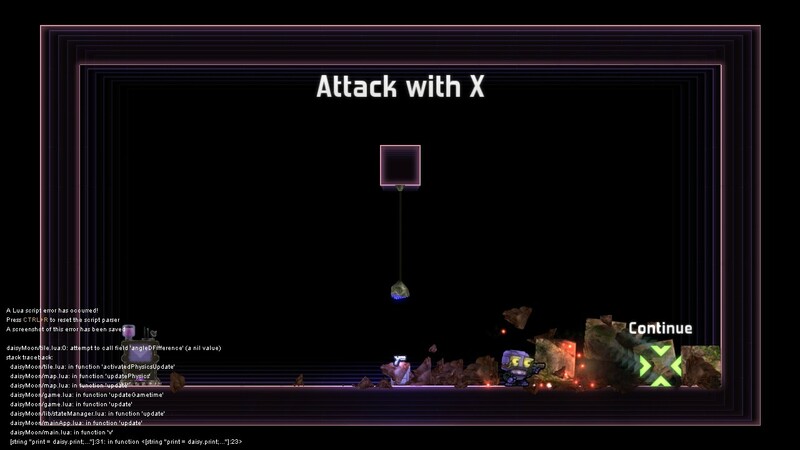 Contact between the player with boxes, or apparently any movable object (like the purple target orbs), causes a game crash. I can come into contact with enemies though. Not sure if it is random, but sometimes when using Desert or Tundra tiles in the editor they show “polygon not counter-clockwise” or something. Or something with invalid vertex. Also sometimes when creating or moving layers, the window for the layers dissapears, and won’t come back, then the game crashes and I have to restart. The cursor disappeared when the bot respawned. It’s the only bug I’ve met. 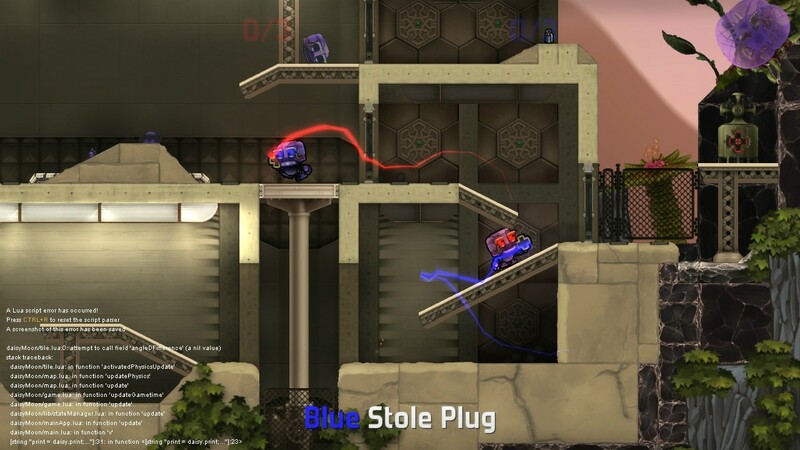 And if I can make a suggestion on the developement of the game, I really think Cobalt needs an online multiplayer mode, there’s a lot of potential in it. Thanks for reading my message and thanks a lot for your awesome game ! does anyone else get an instant crash when they load safest gate? i’ve also crashed several times when trying to use the button above the door to the far right, and since i can’t seem to launch the map, i can’t test if this has been fixed in 108.
i also got what seems to be a physics/collision crash, when i was impatiently running through the tutorial and i tried to shoot while the gun was inside a falling brick. and lastly another random crash while i was playing capture the plug? when will there be a lan? I want an option to change a graphic options/quality. I have powerful computer, but this game runs very slowly. I get the same error! Again and again! Tried to reinstall 3 times! I’ve been getting two annoying errors on survival maps. Once the game starts on this map, I get an endless amount of errors, all saying “loop sound: loops/platform.ogg could not be started”. This fills a large section of the screen, blocking the view, making this map completely unplayable. 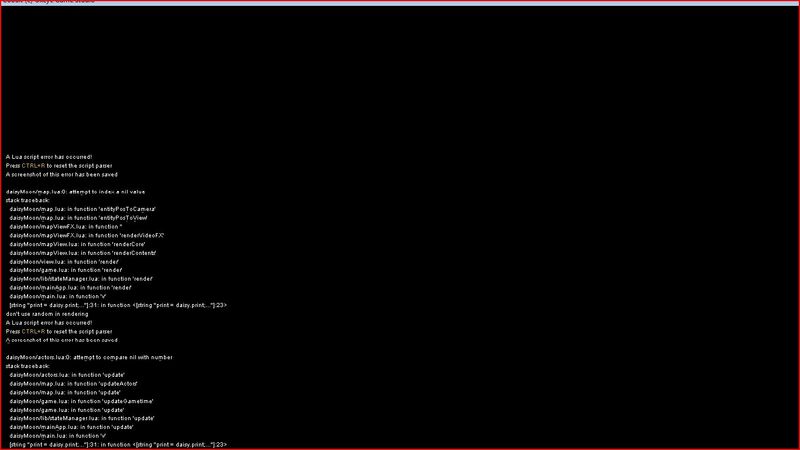 An LUA script error has occurred! I am unable to find the screenshot on my computer. Hello, I would like to report a bug (more of a rare occurrence) that happened to me during a Capture the Plug match on the SnowFall map. 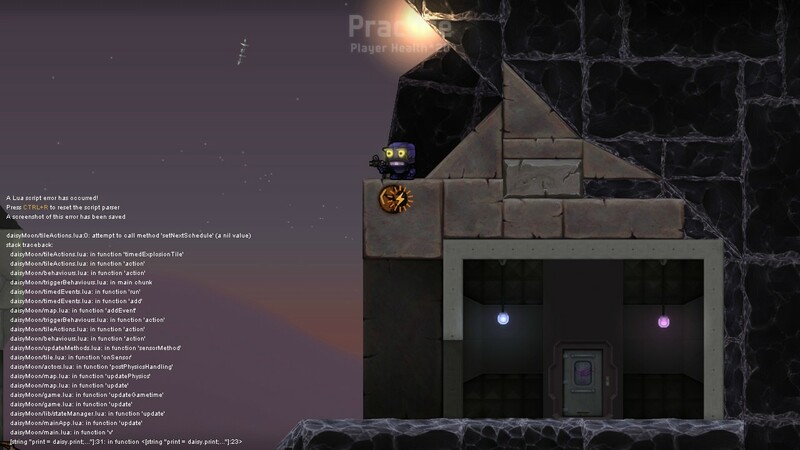 The bug involves the Plug getting stuck in the upper areas of the map, on that little ledge topping off the walls. In my case, the plug was stuck in the upper left of the map, with bots (3 on the opposite team, 2 on my team) all scrambling up the wall trying to retrieve it, but to no avail do to the overhang that the plug was on. There the plug stayed, preventing both teams from gaining any more points until I quit the match. Suggestion: A de-spawn time on the Plug, to prevent this from happening on other maps as well. Hey, I have a couple screens to pass along. These both happened whilst running through the Tutorial. (I was also using a wireless Xbox 360 controller via USB receiver). Thanks for all of these bug reports! They are very helpful! Taking care of the nasty bugs! Oxeye please tell me when to be 109? Seems like every time I try to play the game now, I get a massive laundry list of sound-related errors, some of which freeze the game and necessitate a hard restart of Cobalt. Hello again, I am reporting a crash that seems to always happen when I attempt to play Survival on the Safest Gate map. The crash occurs shortly after I confirm that I’m ready. I would of attached a screenshot but little would be seen, its just the screen fading into the game with me at the starting position.